Data growth is happening all around us. According to Gartner, data will grow by 800% in the next five years, and as much as 80% of that data will be unstructured in the form of file shares, backup and archive workloads, logs and media, test/dev, analytics, and cloud storage. Historically, enterprises have relied on point solutions to address each of these workloads. These workloads, in turn, become secondary storage islands – or silos – that are built with proprietary hardware and their own UI and licensing models. This results in a fragmented secondary storage environment, which is complex to manage and operationally inefficient. Some of the existing solutions claim to scale-out, but they lack deduplication and compression capabilities as a serious downside: increasing the data center footprint. Moreover, data stored in these silos is dark; point solutions simply don’t offer insight about how data can be used for other workflows like application development. To add further complexity, if you wish to leverage the economics and flexibility of the public cloud, you have to rely on bolt-on solutions – like cloud gateways that do nothing but extend the on-prem chaos into the cloud. When Cohesity was founded, we had one mission: Reinvent Secondary Storage. We started on that journey by converging and simplifying data protection for enterprise IT. 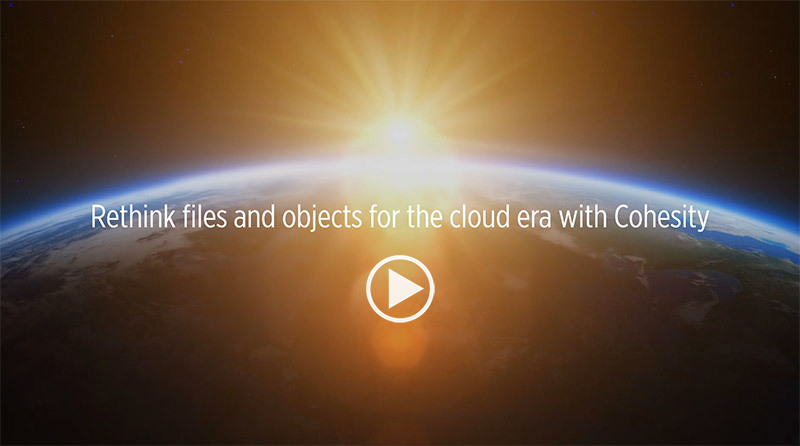 This past year, we conquered our next objective: consolidating file & object workloads. Since offering that capability, we have seen a steady increase in enterprise deployments consolidating their file shares, backup and archive workloads, logs, media, test/dev and analytics on Cohesity DataPlatform, our hyperconverged, web-scale storage solution. 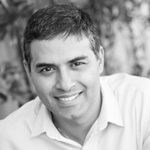 Check out this lightboard video in which Mohit Aron, Founder and CEO of Cohesity shares his vision of hyperconverged secondary storage and the underlying unique distributed file system, SpanFS. Customers such as Manhattan Associates are using, and benefiting from, Cohesity DataPlatform. They have been able to significantly simplify their data protection and file stores onto a single platform, while easily adding archival to Amazon Glacier. What enables this simple yet powerful web-scale platform? Cohesity SpanFS, our patented distributed file system. 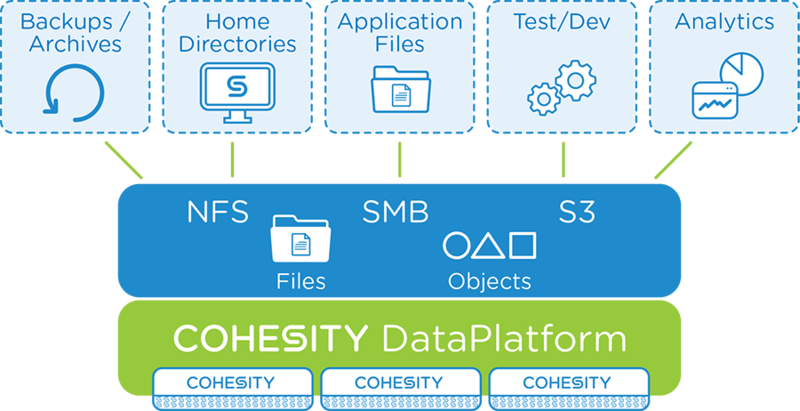 Cohesity SpanFS, enables seamless multiprotocol access (NFS, SMB and S3) to read and/or write to the same data volume, whether on-premise or in the cloud. This eliminates unnecessary data copies and hardware silos, and it simplifies the secondary storage environment. Cohesity manages the permission mapping, and also natively integrates with Centrify. Centrify allows Cohesity to directly access the ID mapping information stored in Centrify’s AD (Active Directory). This eliminates the need for LDAP (Lightweight Directory Access Protocol) proxy, and simplifies the user experience. Lightboard video of Ganesha Shanmuganathan, MTS at Cohesity double click on few key aspects of SpanFS. Cohesity was designed ground up for scalability. As a web-scale platform, Cohesity offers multiple benefits including unlimited scale-out and unparalleled storage efficiency with global deduplication and compression across the cluster. Though few existing solutions claim to scale, there is no one storage solution that combines global data efficiency and guarantees data resiliency with strict consistency at scale. Cohesity strict consistency truly delivers the data resiliency that organizations have come to expect from an enterprise-class solution. Click here to take a deep dive with Jaya Singhiv, Technical Director at Cohesity as she discusses how Cohesity guarantee data resiliency with strict data consistency. While other solutions are single purpose, Cohesity DataPlatform was designed with the idea that your infrastructure should not be idle. Unlike other point solutions, Cohesity makes data productive. Customers can accelerate their application development by instantly provisioning unlimited zero-cost clones directly on the platform. Cohesity DataPlatform analytics capabilities provide meaningful insight back to the storage administrator. Powered by the Cohesity Indexing Engine, which runs against all data stored on the platform, Cohesity can immediately provide storage-level, file-level, and VM-level metrics. Further extending the native analytics capabilities of the Cohesity DataPlatform, Cohesity Analytics Workbench (AWB) opens up the platform for customized analytics that can be tailored to fit unique business requirements. AWB allows users to upload and execute custom code to efficiently and quickly process large datasets across the Cohesity Cluster. Also, with AWB, organizations have the ability to leverage their secondary storage solutions to become an information hub. In the eDiscovery use case, AWB can be used for rapid content analysis to find relevant case information for legal requests or holds. To meet compliance requirements – such as Personally Identifiable Information (PII) – customers can scan the entire Cohesity cluster for names, phone numbers, and credit card information that may have been stored in clear text and take corrective action. As a software-defined solution, Cohesity DataPlatform spans from your data center to the edge to any cloud. Native support for cloud protocols provides an elastic environment to meet ever-changing business requirements. For an example of Cohesity in action solving problems, check out how UCSB leveraged Cohesity native cloud integration to meet their compliance requirements, and how they archived their large media files to AWS, Microsoft Azure, and Google Cloud. So don’t settle for complex storage silos. Easily scale and simplify your entire secondary storage environment on a single, hyperconverged, web-scale solution – Cohesity DataPlatform.